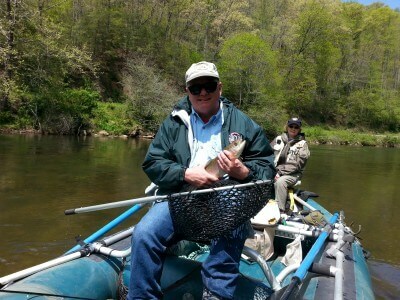 Best guided fly fishing trips in Bryson City, NC since 1987 trout fishing contact information! We provide all the gear necessary to conduct the trip free of charge. This includes rods, flies, wading boots, waders, a stream-side lunch, boats, fly casting book and top quality instruction on the water! We also provide you with a copy of my fly casting handbook “Casting Angles” so that you have a reference for your journey as a fly fisher. We also send you photo highlights of your day on the water. I look forward to seeing you in the stream! You will need to purchase your valid NCWRC license here online or by phone at 1-888-248-6834. If we are fishing the Tuckasegee River Delayed Harvest in Bryson City or Dillsboro then make sure you tell the license agent that you need a Mountain Heritage License (5 dollars). It is among the best values for a license to fish for trout in the country. 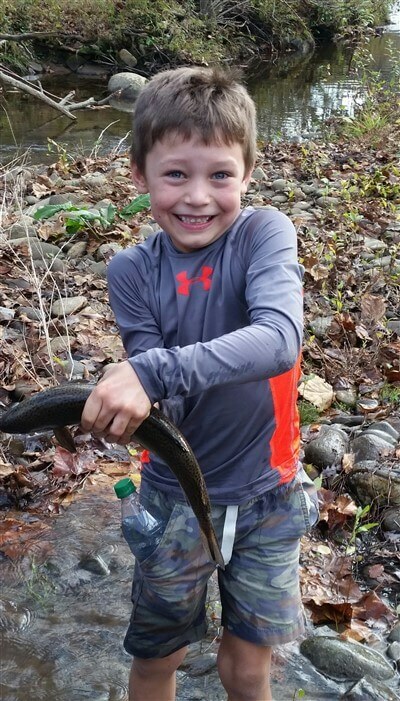 A child under the age of 16 does not need a license to fish in NC. You will need a trout stamp for everything outside the GSMNP and Tribal Waters in Cherokee, NC. 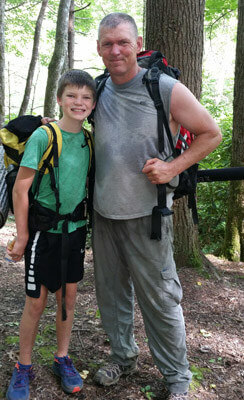 You need either an NC or TN general fishing license for the Great Smoky Mountains National Park. The tribal license can be purchased at many of the stores in Cherokee. Many of the courses fill months in advance, so make your plans early, especially for April, May, June, July, and October courses. If you have any medical problems that we should know about, please tell us at the time of your reservation. If you call during the busy months make sure you leave a message with an evening phone number and how you found out about us- as I am difficult to catch during the day. I return these promptly each day after I am off the water. No reservation is held without a deposit. Please have a first and second choice available when making your reservations. Use this Reservation Form for getting basic info about your custom trip or the Book Now button is also available for your convenience (there is a slight bank fee added to this service). 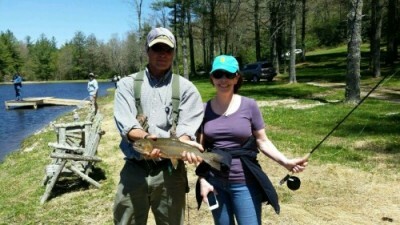 Best guided fly fishing trips in Bryson City, NC for you to improve your skills! 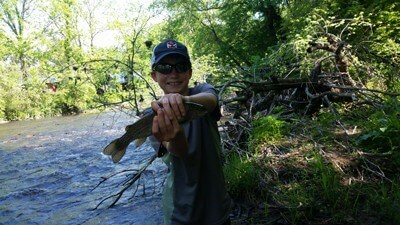 We offer gift certificates for all of our fly fishing programs. 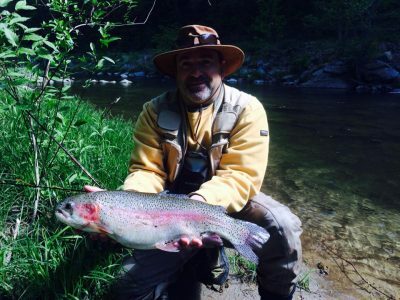 These are popular throughout the season for a variety of folks interested in learning more about fly fishing. You can set these up online using the BOOK NOW button at the top of the page. 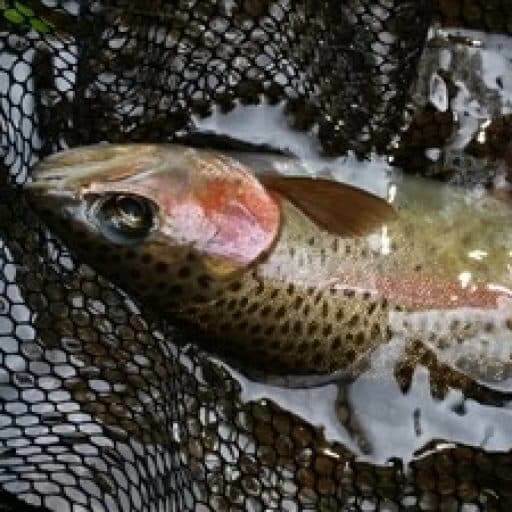 Best guided fly fishing trips in Bryson City, NC for catching trout in the beautiful Smoky Mountains! We require a credit card to hold the date at the time of your reservation. I prefer to use check or cash at the date of service for the guided trips. However, you may use Credit Card on either the Reservation Form or Book Now buttons for your convenience (there is a slight charge up for bank fees). No fees added for Cash or Checks. The destination programs require payment in full within 14 days of reservation and are non-refundable. I would recommend cancellation insurance when you make these reservations for international travel. We have a packet of information for all the specifics on the destination trips. Corporate group trips are customized for each outing. 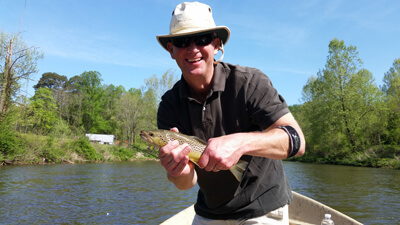 Best guided fly fishing trips in Bryson City, NC providing everything you need for a successful trout fishing outing. Call or email for information with setting these up. A full refund will be given if we are forced to cancel the course for any reason due to weather that is deemed by us to be unsafe or extreme. Dates are rarely canceled due to weather like rain, snow, cold, etc… because these end up often times being the best fishing of the year! We can dress and be prepared for most things mother nature dishes out. We have always treated folks using the Golden Rule since 1987! I fully understand if cancellation is due to medical condition, acts of God, and many other things. It is however at my discretion depending on the circumstances. If it is more than a month away than we can work to reschedule to another date that fits your time frame. There is a charge in full if you cancel the trip within a month before the date of your trip in general. Other area attractions can be found by contacting the Bryson City, NC Chamber of Commerce. The number is 800-867-9246. 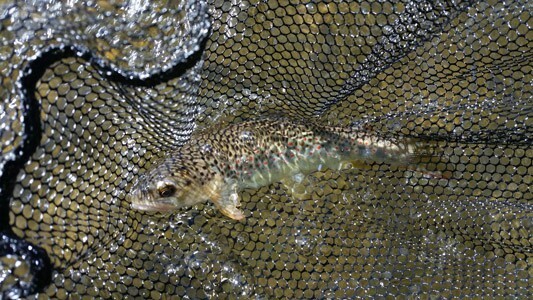 Swain County is the trout mecca of the southern states. Over 75% of the county is either Nantahala National Forest or the Great Smoky Mountains National Park. The Park visitors exceed 14 million people per year! When you consider all of the whitewater rafting, Smoky Mountain Railroad, Appalachian Trail hikes, hundreds of waterfall hikes, great mountain biking, and many other outdoor adventures it is not hard to see why our little mountain town of Bryson City is always expanding. Many great new restaurants and lodging in Bryson City for hosting large groups, hence plan your next get-away to the trout mecca town of Bryson City, NC! We are about an hour drive from Highlands and Asheville NC. Knoxville and Chattanooga TN is about 2 1/2 hours away. Atlanta, GA, and Charlotte, NC are about a 3-hour drive. Many great new restaurants and lodging in Bryson City for hosting large groups. We are about an hour drive from Highlands and Asheville NC. Knoxville and Chattanooga TN is about 2 1/2 hours away. Atlanta, GA, and Charlotte, NC are about a 3-hour drive. 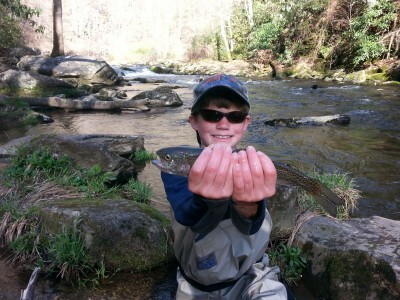 Plan your next get-away to the trout mecca town of Bryson City, NC! My favorite addition to the town is the Nantahala Brewery which also provides some very good bands all through the season! You should bring rain gear, warm clothes, sunscreen, lip balm, a hat and polarized glasses. 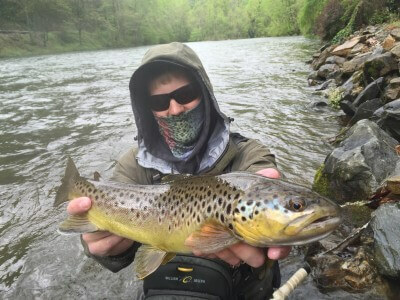 Best guided fly fishing trips in Bryson City, NC learning about hooking, landing, and releasing wild trout in the Smokies! It will benefit your success on the water to wear clothing that blends into the surroundings. You can also check the weather here for layering considerations of clothes.